Main trailer and poster added for live-action film “Kakegurui The Movie” starring Minami Hamabe. 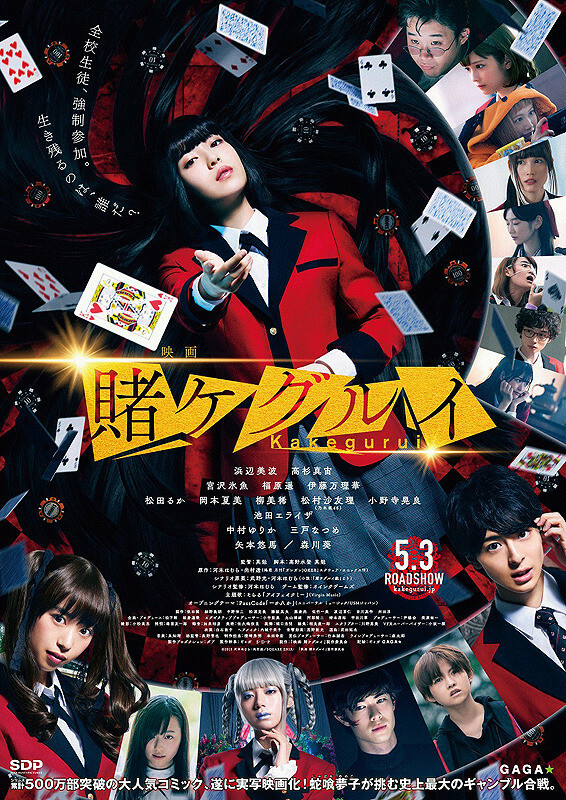 The film is based on manga series “Kakegurui” by Homura Kawamoto and Toru Naomura. 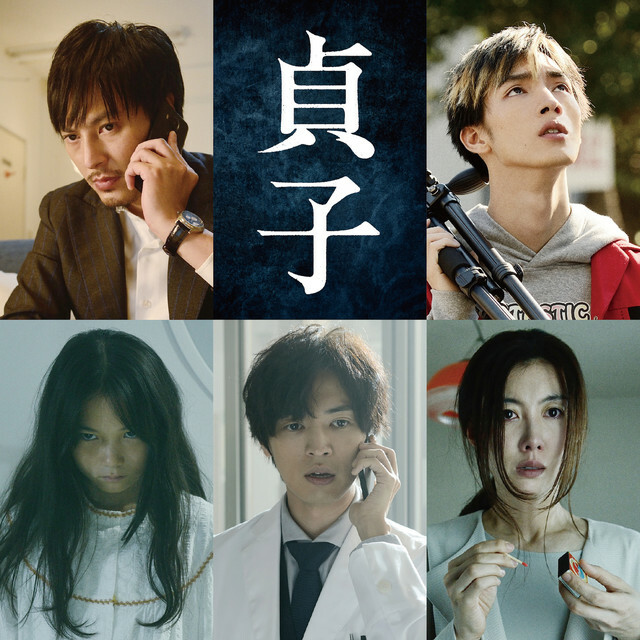 The live-action film version follows 2018 TBS drama series “Kakegurui” and 2019 TBS drama series “Kakegurui Season 2.” Movie is directed by Tsutomu Hanabusa. “Kakegurui The Movie” will be released May 3, 2019 in Japan. Teaser trailer and poster added for movie “Farewell Song” starring Nana Komatsu, Mugi Kadowaki and Ryo Narita. Movie is written and directed by Akihiko Shiota (“Harmful Insect“/”Dororo”). 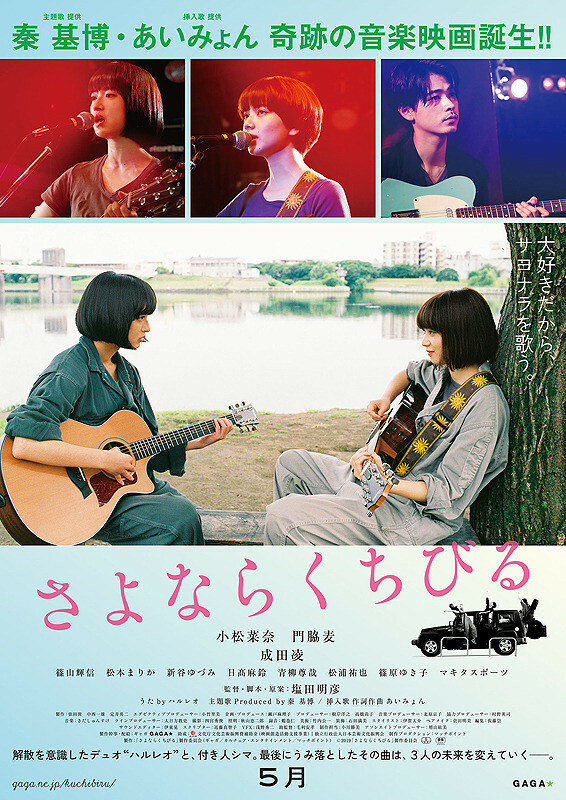 Story for “Farewell Song” depicts a love triangle between singers Reo (Nana Komatsu), Haru (Mugi Kadowaki) and their roadie Shima (Ryo Narita). 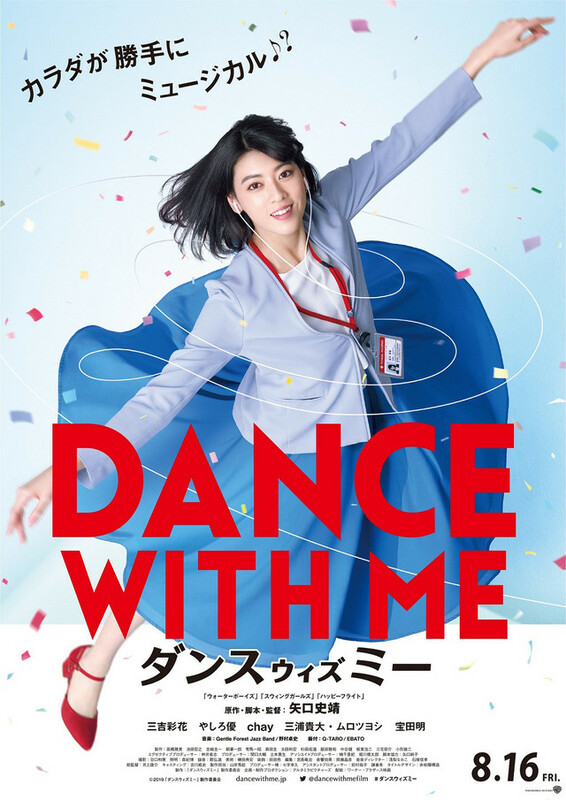 Release date for “Dance with Me” is now set for August 16, 2019 in Japan. Trailer added for movie “Love’s Twisting Path” (English title) starring Kengo Kora, Mikako Tabe and Ryo Kimura. Movie is written and directed by Sadao Nakajima. 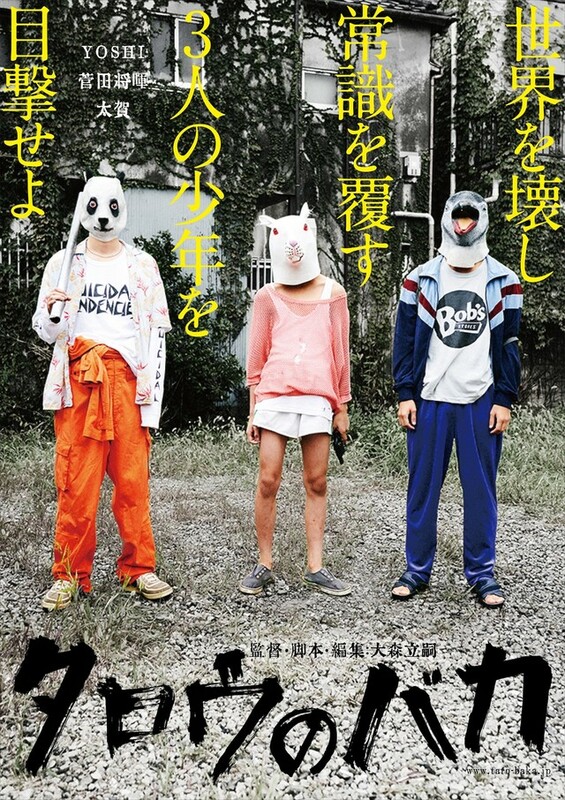 The trailer also reveals the movie’s theme song which is “Missing” by Kousuke Atari. “Love’s Twisting Path” will be released April 12, 2019 in Japan. Kaguya-sama: Love Is War” will be released September 6, 2019 in Japan. Here’s the first teaser poster for upcoming movie “Taro the Fool” starring newcomer Yosihi. The poster has two additional persons besides Yoishi and they are newly announced cast members Masaki Suda and Taiga. The film is scripted and directed by Tatsushi Omori. Yoishi was first cast for the film after taking part in auditions involving 300 other applicants. Prior to this, 16-year-old Yoishi worked as a model. “Taro the Fool” will be released sometime this autumn in Japan. 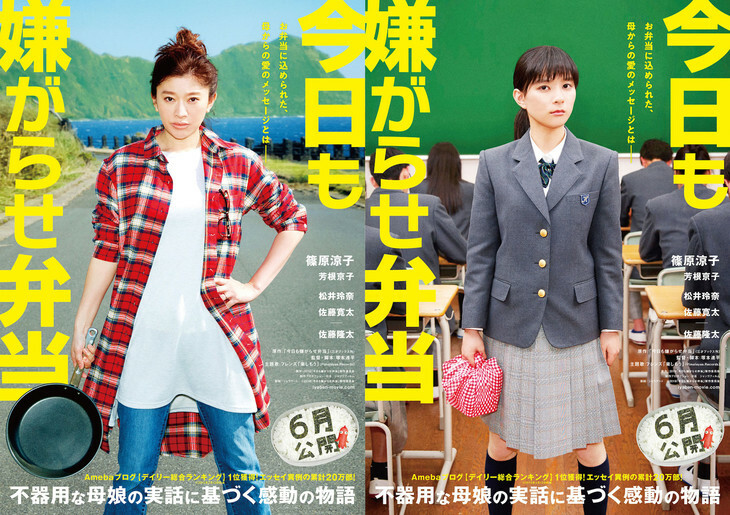 Teaser trailer and teaser posters added for movie “Bento Harassment” (English title) starring Ryoko Shinohara and Kyoko Yoshine. In addition, Rena Matsui, Kanta Sato and Ryuta Sato have been announced as supporting actors in the movie. The film is based on an essay by “Kyo mo Iyagarase Bento” by Ttkk and directed by Renpei Tsukamoto. “Bento Harassment” is now scheduled for release June, 2019 in Japan. Mizuki Itagaki (M!LK), Sakura Kiryu and Ryoma Takeuchi are cast in movie “First Love Loss Time” (literal title). Also cast in supporting roles are Anna Ishibashi and Masahiro Komoto. The movie is based on 2016 novel “Hatsukoi Loss Time” by Yuki Nishina and directed by Hayato Kawai. The film features the unusual premise of time stopping every day at 12:05 PM for 1 hour except for a few persons. “First Love Loss Time” will be released September, 2019 in Japan. 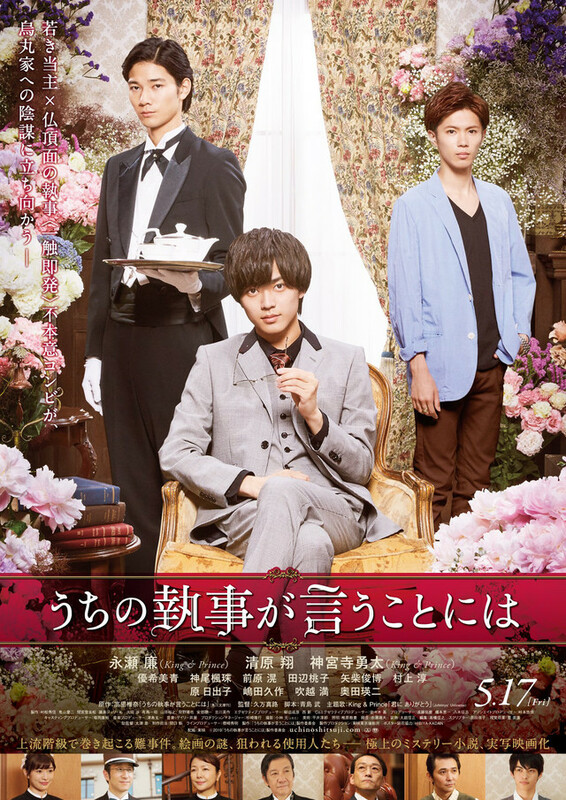 Trailer & poster added for upcoming movie “According To Our Butler” (English title) starring Ren Nagase (King & Prince) and Sho Kiyohara. Movie is based on novel “Uchi no Shitsuji ga Iu Koto niwa” by Shiina Takasato. The trailer also features the movie’s theme song which is “Kimi ni Arigatou” by King & Prince. “According To Our Butler” will be released May 17, 2019 in Japan. Teaser poster added and supporting cast announced for movie “Sadako” starring Elaiza Ikeda. Now cast in the film in supporting roles are Takashi Tsukamoto, Hiroya Shimizu, Himeka Himejima, Ren Kiriyama and Rie Tomosaka. In the movie, Elaiza Ikeda plays a hospital psychologist. One of her new patients is a girl played by Himeka Himejima. The psychologist’s brother will be played by Hiroya Shimizu. Movie “Sadako” is based on 2016 novel “Tide” by Koji Suzuki and once again directed by Hideo Nakata. In addition, an early teaser trailer can be viewed at AsianWiki. “Sadako” will be released May 24, 2019 in Japan.